We all know cats love to claw and climb. Unless you are one of the few with a tree situated in your house, most likely your furniture is the next best thing. Why not gain your cats attention and love with Aristocat cat furniture? Saving years on your furniture, equals money in your pocket. All of Aristocat’s products are designed to complement your home’s decor while satisfying your cat’s natural need to scratch. Your cat will love you for providing a safe place to sleep, play, scratch or just lounge around. 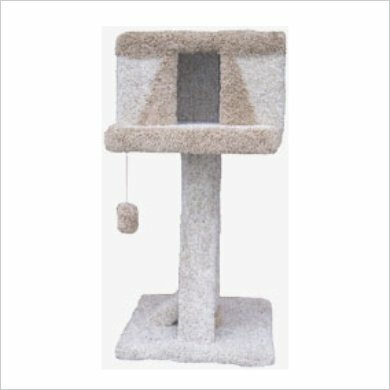 All of Aristocat’s scratching posts are made with quality using high grade materials that are built to last. Made right in Canada with pride insures the high standards Aristocat is built on. They construct and design a large variety of products that will fit your needs.